AWStats is a free and very powerful tool that creating statics by analyzing Apache log files, ftp or mail servers. AWStats log analyzer works on CGI or command line interface and generate graphical statics from log files. This tutorial will help you to install AWStats Apache Log Analyzer on Ubuntu, Debian and LinuxMint systems.. This article has been tested with Ubuntu 14.04 LTS only. AWStats required Apache web server to be running. If you don’t have Apache install Use below commands to install Apache2 web server and awstats packages. It will also install all other required dependencies. 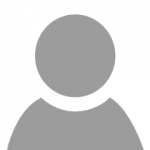 Now create Apache configuration file for awstats setup. Use your favorite text editor and edit a new file /etc/apache2/conf-available/awstats.conf. Now enable CGI module (if not enabled) and Also enable Awstats apache configuration. It’s required to create a configuration file for each of your website for which statics need to generate. Copy AWStats example configuration file with new name and make changes as below. Use your server ip address or domain name to access AWStats statics. Change domain name at the end of url as per your settings. Congratulation’s! you have successfully configured AWStats for you website. 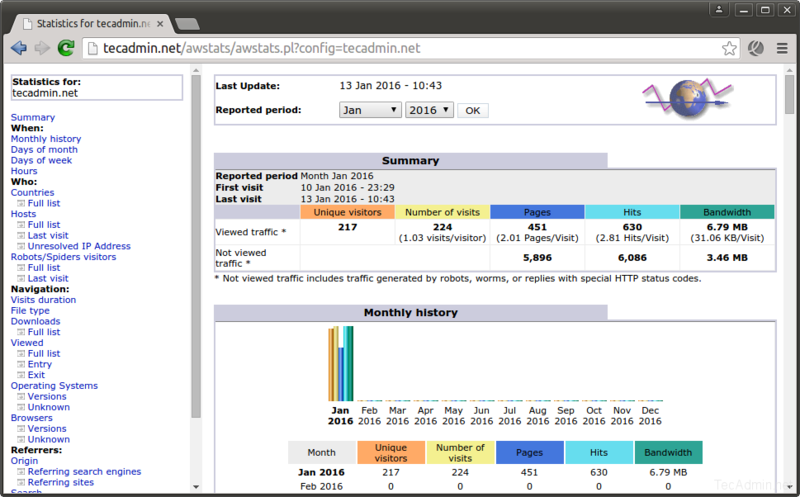 Read our next article to Setup vnStat ( Web-based Network Monitoring Tool ) and Install Munin Network Monitoring Tool on your Linux system. The Apache allow commands did not secure access to awstats. which worked nicely for me. Congratulations and thanks Rahul.I tryed before several long tutorial probably too old to install awstats and only your work with Debian Jessy.Just at the end have to change owner of /var/lib/awstats.It is by default awstats and it require to be www-data.